Описание: Предлагаем Вам ознакомиться с курсом для подготовки к Кембриджскому экзамену по британскому английскому CPE - Certificate of Proficiency in English (сертификат владения английским языком). 6) Downloadable software (from the Cambridge site). Cambridge Objective Proficiency Second edition provides official preparation for the revised 2013 Cambridge English: Proficiency exam, also known as Certificate of Proficiency in English (CPE). Objective Proficiency second edition has been fully updated for the revised exam. Its twenty short units provide a wide range of challenging topics, and lively, stimulating exam preparation. Equally, the material presents interesting and motivating material for those studying English at C2-level for career or general purposes. The course covers all parts of the Proficiency exam in detail, providing information, advice and practice to ensure that students are fully prepared for every aspect of the exam. Informed by the Cambridge Learner Corpus, Objective Proficiency includes examples and exercises which tackle typical Proficiency problem areas, making it the most authoritative Proficiency preparation course available. The accompanying software is downloadable from the website. NB. Mac users must install Adobe Air and up-to-date Java software before installation. 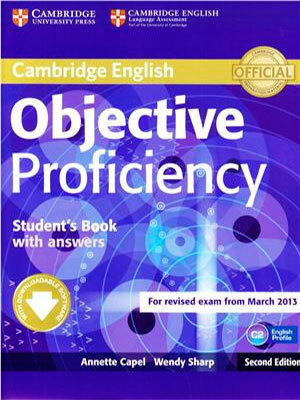 Objective Proficiency second edition has been fully revised and updated to prepare students for the revised Cambridge English: Proficiency exam (launch: March 2013). The material has been informed by the Cambridge Learner Corpus, and shows typical mistakes made by candidates in the exam. 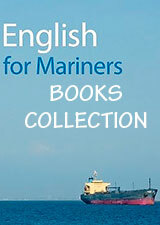 Authentic language examples, taken from the Cambridge International Corpus, illustrate a wide range of English usage. Exam Folders' provide helpful practice and advice for each part of the exam. 10 'Writing Folders' give extensive support for the writing paper tasks. A 'Grammar Folder', containing explanations and examples, complements the inductive approach taken in lessons. A Self-Study edition is available, providing answers to all the exercises, detailed explanations, highlighted tapescripts and useful cultural background information.